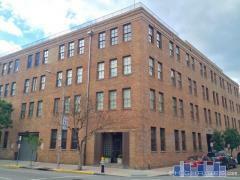 The Paragon Lofts is a 3-story loft building located in the Warehouse District. Units at Paragon feature authentic loft details like concrete floors, wood beams, exposed brick, and piping. Have any comments or questions about Paragon Lofts? Ask your question and/or share your thoughts about this Building. What was the building originally when it was built in 1905?